These are general Firefox extensions that have been modified to work in Seamonkey. Unless specified, these do not depend on xSidebar. Several of these depend on the presence of xSidebar to supply Firefox compatibility functions to SeaMonkey 1.x. xSidebar is not necessary for SeaMonkey 2.0. CheckPlaces is a Firefox extension that allows you to check your bookmarks in different ways. There is a basic check of your bookmarks, and optional checks that the pages still exist, duplicate bookmarks, and empty folders. You can also use it to restore favicons that have gone missing, and compact and check the integrity of the Places database. del.icio.us Complete integrates del.icio.us with Firefox and SeaMonkey. Compatible with SeaMonkey 2.0+ and Firefox 3.5+. Removed support for SeaMonkey 1.1 and Firefox 2.0. Bumped version number to 1.3.1. All menu items now open in a new tab/window instead of the current tab. Favicon Picker 2 adds a UI for replacing bookmark icons. This extension is based on the version posted in MozillaZine. It also features an increased icon size limit. Just right-click any bookmark and select Properties, then click Browse... to select an icon or paste a URL to an icon. The Favicon Picker 2 extension you posted on your site is quite buggy. The Seamonkey-compatibilized version you posted works with SM 2.1, MOSTLY... but it interferes in the normal Seamonkey process of fetching site icons. It appears to invert the normal precedence, favoring root\favicon.ico over <meta> tags. For instance, if I check the Teoma search page, the favicon I get is the Ask.com one. Fortunately, there IS a workaround (an annoying one, but better than nothing): to keep the extension disabled most of the time, enabling it only for the time needed to manually change a favicon -- this part of the extension actually works. Flat Bookmark Editing: When managing bookmarks in SeaMonkey, if you want to change the name, link, or other information for a particular bookmark, you normally have to go through a multi-step process: select the bookmark, choose "Properties", choose the tab you want, edit a field, and finally click "OK". The Flat Bookmark Editing streamlines this process by providing access to all the bookmark detail fields in one flat view, right inside the Bookmarks Organizer. Changing a field is now simple: select the bookmark and edit a field. Your change will be saved when you close the window or move on to another bookmark, or you can tap "Enter" to save your change immediately. The bookmark listing is ordered alphabetically in a case-sensitive way. Filters match against bookmark name or keyword. The Properties panel that this add-on puts in the Bookmarks Organizer can be temporarily hidden using the "Properties" toggle in the "View" menu. The "up" and "down" arrow keys change the current bookmark selection, even when you're editing a field. When combined with "tab" and "shift-tab" for moving between fields, you can rapidy adjust several bookmarks without reaching for the mouse. SeaMonkey 2.0 compatibility contributed by InvisibleSmiley. keywordManager is a Firefox extension which add a small tool to manage bookmarks keywords. The tools is added to the Bookmarks or Places window using a toolbar button. A small dialog popup when this button is pressed showing all existing keywords. Each listed keyword can be double-clicked to be edited. Finally, some filtering capabilities are present to help finding a specific bookmark/keyword. PlainOldFavorites is a Mozilla Firefox extension that allows you to use the Internet Explorer and Windows Favorites directly from Firefox. Firefox has a great Bookmarks system. It has many wonderful and useful features, and the bookmarks can be exported and imported from many bookmark formats. There are even several extensions out there that allow you to synchronize your bookmarks with a remote server, the Windows Favorites folder and so on. Some users still wish to keep some or all their bookmarks in the Windows Favorites folder. There can be several reasons for this. First, some new Firefox users might find the transition to Firefox smoother if they can still use their familiar Favorites folder. Also, a link to the Favorites folder can be found in several places throughout Windows, which makes it a convenient option for storing links. PlainOldFavorites allows using the Favorites folder directly from Firefox without needing to import or synchronize the bookmarks first. NewsFox is a RSS/Atom News Reader extension for Firefox. It functions much like a typical email client - similar to Thunderbird's RSS reader. NewsFox uses the parsing engine from the Sage project. The changes needed for Seamonkey compatibility have been contributed back to the NewsFox project and the current version is now Seamonkey compatible. Install the latest version from the NewsFox Project Page. Allows to match form fields by name, label (in strict mode or by proximity) or by position. Allows to use multiline input with line break tags. Allows dynamically created input data using special Dynamic Tags. Possibility to define site specific profiles and rules. Profiles can be stored in Firefox preferences system or in a custom config directory. Completely customizable interface (buttons, icons and menus can be enabled/disabled). Autofilled and not autofilled form fields can be highlighted using CSS declarations. Makes use of additional mouse buttons to perform differenct actions on click of the toolbar button. Can fill out and automatically submit forms. Can fill out forms on all open browser tabs. Can fill out forms from a profile selection. Only active when filling out forms so it doesn't consume any system resources while surfing. Provides secure encryption for the stored form data using Firefox Master Password. Integrates with the Secure Login add-on. BBCodeXtra BBCodeXtra is an extension, compatible with Mozilla FireFox and SeaMonkey, which adds to the context menu new commands to insert BBCode/Html/XHtml codes in an easy and fast way. BBCodeXtra è un'estensione, compatibile con Mozilla FireFox e SeaMonkey, che aggiunge al menu contestuale dei comandi per inserire velocemente codici BBCode/Html/XHtml all'interno di qualsiasi tipo di forum attualmente sulla rete. Questa estensione può semplificare la vita con qualsiasi tipo di forum che sfrutti i codici BBCode o Html nell'inserimento dei messaggi. BugMeNot is a Firefox extension that allows you to bypass compulsory web registration via the right-click context menu. Activate the extension by right-clicking on a user name and/or password field of a site that asks for registration. BugMeNot will log in for you automatically using user-submitted passwords. Features: multiple login attempts, failure reporting, and auto-submittal. Have you ever found yourself pressing the reload button frantically while waiting for a web page to be updated? Well reload no further! with C4C you'll just mark the relevant text, set a check interval (e.g every 1 minute), and you're done! Select the text you want checked for change. Right-Click. On the Check4Change context menu, select the time interval. The tab icon will indicate this page is being monitored by changing to C4C. Clippings Saves and manages frequently-entered text for later pasting into Web page forms in Firefox or email and newsgroup messages in Thunderbird. Pasting a clipping is accomplished with just two mouse clicks, eliminating the hassle of retyping or repetitive copying and pasting. Create clippings from selected text in a form field or Web page body (Firefox), or from selected text in an email or newsgroup message (Thunderbird). Create clippings by dragging and dropping text into the Clippings icon on the status bar. Paste clippings into form fields (Firefox) or new email or newsgroup messages (Thunderbird) from the Clippings context menu. Assign shortcut keys to clippings for quicker pasting. To insert a clipping using the keyboard, press CTRL+ALT+V (Mac users need to hold down the Control and Option keys while pressing V), then the shortcut key. Click on any of the following links to learn more about Clippings. Copy Plain Text copies text without formatting. Use from the Edit or context menus. Have you ever copied something to Thunderbird or Office and been annoyed that the text formatting (bold, font size, etc) came with it? Don't you wish you could just copy the text itself, without having to copy it, paste it into notepad, then copy it again? This extension gives you an option to copy text without the formatting. You can even set it to trim extra space in and around the copied text! Added compatibility with SeaMonkey 2.1 and Thunderbird 3.0. Bumped version number to 0.3.3.1 because of SeaMonkey 2.0 and Thunderbird 3.0 support. Fixed context menu problems in Thunderbird 2.0 and 3.0, and in SeaMonkey 2.0 MailNews. Copy URL+ enables you to copy to the clipboard the current document's address along with additional information such as the document's title, the current selection or both. You might find this behavior useful when you want to send (IM, email) an interesting link to a friend and out of laziness convenience you don't want to copy the link and an explanation of what the link is in a single step. The explanation can be as short as the document's title or it can be a descriptive text from the document. Version bump contributed by therube. deskCut adds the ability to create desktop shortcuts from the right-context menu. dragdropupload Drop files into attachment boxes instead of browse for them or type in the filename. Drop multiple files and fill all the entries. In some websites it allows to add new upload files: in Gmail is possible to drop the files directly over the "Attach a file" link. Fetch Text URL opens plain text URLs from the context menu. Customize which context menu items are present in Firefox by choosing Tools > Extensions, selecting Fetch Text URL, then clicking options. Fetch Text URL currently handles the http, https, and ftp protocols. If no protocol is found or a malformed protocol is detected, it assumes that http is desired. FireForm is a simple yet configurable form filler. Includes support for multiple profiles and custom field names. Localized for English, Français (French), limba română (Romanian) and русский язык (Russian). Now includes sites list management for automated filling of many forms. FireForm est une extension de firefox qui remplit automatiquement les formulaires. Vous apprenez à Fireform comment remplir un formulaire et vous pouvez alors remplir tous les formulaires semblables en un clic. Firesizer provides a menu and status bar to resize the window dimensions to a specific size. Unlike other similar extensions, this one sets the size of the *entire window*, not just the HTML area. Heavily inspired by "Yet Another Window Resizer" by Galoca. FullerScreen enhances the Full Screen mode into a really full screen mode, hiding the remaining toolbars and statusbar and making them visible again when the mouse pointer hits an edge of the screen. It also offers a slideshow mode, enabling @projection CSS rules in a document when full screen mode is turned on. Navigation betweenslides in implemented in the extension and a slide manager showing thumbnails for the slides is available through shift-F11. This cross-platform extension is tested on Windows and Linux, and is licensed under the Mozilla Public License. This extension does not work on Mac. See http://disruptive-innovations.com/zoo/fullerscreen/samples/ for sample documents ( projection-test.html is also the doc for this extension, explaining how to build a slideshow document). Gcache allows you to check the page you are browsing in the google cache. Can be handy if the server is down or the page is changed. It will add an entry called "Gcache Page" to your contextmenu. To use the shortcut key: Press on the 'right' 'windowskey' (not the left) wait for the contextmenu to popup and press 'g'. Hundreds of scripts, for a wide variety of popular sites, are already available at http://userscripts.org. The SeaMonkey installer for greasemonkey-0.6.4.2-mod.xpi has been changed to make Greasemonkey a global (application) extension. If you have a previous version of Greasemonkey installed you need to uninstall that before installing this version. You will also need root or admin priviledges to the SeaMonkey application directory. Login as root or administrator and install this once. Greasemonkey should then be available to all users and user profiles. Image Zoom is an easy to use extension that works with Firefox, Mozilla, Thunderbird, Netscape and Flock. If you have ever had an image that was too large to fit on your screen or too small to see the finer detail in your browser or email, then image zoom can help. Image zoom gives you complete control of the size of most images displayed in mozilla based software. Both individual images or whole pages of images can be zoomed. Added getVersionCheck() using nsIVersionComparator and used it to simplify logic involving use of getGeckoVersion. And used it to simplify isFirefox(), isThunderbird(), isMozilla(). Restored all locales by using a fallback DTD file for <!ENTITY iz.options.togglefitmax.label "Toggle Fit/Maximize">. Changed the extension version to 0.4.6.1mod and increased the maxVersion's to something insanely high like 20. DR.M added +Image Fit to Width. Therube added some typo fixes and minor changes from the ImageZoom trunk. The following version has been bumped for SuiteRunner by deathburger. In addition I've slightly tweaked it to work better in SeaMonkey MailNews windows. Jump Link - opens the link. Jump Link in New Tab - opens the link in a new Tab. Jump Link in New Window - opens the link in a new Window. Link Alert changes the cursor to indicate the target of a link. Link Status is a Firefox extension which shows a star icon on the status bar when the mouse cursor is over a link to a bookmarked or visited page. It shows a yellow star if the page is bookmarked, and a white star if the page is visited but not bookmarked. It also shows the date you visited the page last time. Link Status works not only for text links but also for image links, which usually lack a visual clue about whether they are linked to visited pages or not. Link Status works in Firefox 3.5.x and Firefox 3.0.x. When using Link Status in Firefox 3.5 or later, you can choose to stop Firefox from rendering visited links differently. To do so, select the "Disable visited link styling" ("Ignore :visited link style" in Link Status 1.1) checkbox from the Options/Preferences button in the Add-ons dialog box. By doing so, you can prevent a web server from abusing this feature of Firefox to probe which pages you have visited ( Bug 147777), thus reducing the risk to privacy. Read this for the details. Supported languages are Japanese and English (US). The English (US) version will be used in Firefox in other languages. The icons may not be consistent with your theme. See this page for instructions of how to change them. Link Visitor 3 provides the ability to add single or multiple links to the browser history, making them appear visited, without having to actually visit them. It also allows them to be removed from the history. For a single link, right click and select "Mark link as visited" or "Mark link as unvisited" (depending on current state). For multiple links, The View and Context menus contain the menu entry to "Mark Links Un/Visited", which provides the ability to mark all links, or those within a selected region, as visited or unvisited. If the 'Always Mark Bookmarks Visited' preference is on, bookmarked links will not be marked unvisited. Linky will increase your power to handle links. It will let you open or download all or selected links, image links and even web addresses found in the text in separate or different tabs or windows. You will just need to right click any link or web address, select the Linky menu item and choose the desired action. You can even specify what option you want to see available in the Linky menu through its preferences. Linky 3.0 removes support for Thunderbird and thus the MailNews component in SeaMonkey. This 3.0.0-mod restores support. Make Link an extension for Mozilla Firefox which adds a context menu item (Make Link) which allows the user to easily copy links to the clipboard in HTML, forum-code or simple "text (URL)" format. It also allows the user to create his or her own link types to use with the extension, and to modify or remove the default three. From version 3.0.1 there is also support for Markdown by default. The function works in three different ways. When used on a link it uses the link's own URL and link text for the new link. When used on selected text it uses the page's URL as the new link URL and the selected text as the new link text. When used elsewhere it uses the page's URL and title for the new link. The copied link is stored in the clipboard to be pasted into whatever application the user wishes. NoRedirect lets the user take control of HTTP redirects. It can be used to interdict an ISP's DNS search redirection hijacks, preview/screen "shortened" URLs (e.g., TinyURL), stop the annoying redirection of "smart" error pages, etc. Install NoRedirect from https://addons.mozilla.org. If installing from that page does not work try installing from the link below. Are you always changing the text zoom level when you open a new browser window? Do you find some sites you visit have impossibly small fonts and you are constantly changing your text zoom back and forth as you visit different sites? NoSquint is a Firefox extension that allows you to adjust the default text zoom level, which is very useful if you have a small display or run at a very high resolution. NoSquint also optionally remembers the zoom level per domain. Until website designers (typically those who know of no life outside Internet Explorer) who insist on using font-size: 50% are administered a harsh LARTing, NoSquint exists to make web browsing tolerable in FireFox SeaMonkey. Nuke Anything Enhanced allows hiding of almost anything via context menu 'Remove Object' or 'Remove Selection' with possibility of multiple undo of 'Remove Object'. You can also make a selection and chose "Remove everything else" to clear the page and only leave the selected text. The effect of this extension is temporary, which is useful before printing a page, you can use another extension, 'Remove It Permanently' if you want your removed objects to be remembered. If you move the mouse over "Remove this object" and wait for a second without clicking, the object that will be removed blinks in red. If this bothers you and you want to remove it, you can go to about:config search for extensions.nuke_anything_enhanced.autoblink and set the value to empty. If you want less intrusive blinking you can set it to "3px solid #ccc" or "1px dashed red" without quotes. Refspoof is a simple toolbar that allows to load a page with a different referer. What is changing the referer good for? That is up to you. But if you have a need for this you probably know the answer already. Maybe you want to hide where you really came from, or maybe your a web developer who needs to test some features on your website. Click here to test the referer propagation. This can be handy if you have a page with for example sports scores, news or stock quotes and want to refresh them automatically. Remove Cookie(s) for Site is a very simple extension to remove all the cookies of currently opened site. It adds an option to the Right Click menu of the page, and a toolbar button to perform this operation. It displays the status of operation in the status bar. Note: It only removes the cookies of current site being visited, and not of any 3rd party sites. Also, it will keep the scope to current domain. Remove it Permanently hides content from web pages using the Context Menu. Simply, click and "Remove it Permanently". Now includes previewing of items before removal, support for IFrame as well as lots of advanced features to make it easy for anyone to remove annoying content from web pages. "Größe von Texteingabefeldern nach Bedarf anpassen". A lot of forums and boards provide very smal textareas for new postings. If you type a longer posting, you have to scroll up and down, to read, what you have writen and to proceed. This situation is annoying. Now here is my solution: Resizeable Textarea extension. Resizeable Form Fields resizes HTML form fields, including textareas, select boxes, text fields, and iframes. It's that time of year again: updating the essential Resizeable Textarea plugin (which seems to have been abandoned by its creator, Raik Jürgens) so that it works with the latest version of Firefox. Jeremy Zawodny carried the torch during Firefox 1.5, and I just discovered through Asa Dotzler that John Baker has done the honors by upping the maxVersion for Firefox 2 (though it's hard to find). There's two obvious things that the plugin doesn't do that I've always wished it did: resize select boxes and single line text boxes and iframes. So this afternoon I popped open the hood and made it happen. I'm also going to submit it to addons.mozilla.org so it has a more permanent home. In the meantime, feel free to install the plugin from here by clicking on the link below. Resurrect Pages: Dead pages, broken links, the scourge of the internet. Powerhouse sites like Slashdot and Digg can bring a server to its knees. What do we do when a page is dead but we still want to see it? Call in the clerics, and perform a resurrection ceremony! Or, the easier route, use this extension. Secure Login is a login extension for Mozilla Firefox integrated password manager. Its main feature is similar to Opera's (the browser) Wand login. Works out of the box without any configuration needed. Login with one click or a keyboard shortcut (automatically submitting the login forms). Easy and convenient selection for multiple logins (multiple users). Provides direct login to any site from the bookmarks (using the "Secure Login Bookmarks"). Integrates with Mozilla Firefox password manager. Provides easy access to the saved passwords. Helps to protect you from phishing. Shows the login URL(s) and the number of available logins in a tooltip of the toolbar button and the statusbar icon. Can be set to automatically search for login data and highlight form fields. By default only active on login so it doesn't consume any system resources while surfing. Can fill out additional form fields using the Autofill Forms add-on. Possibility to play a sound when logins are found or when logging in. Add Macedonian locale from the last mozdev.org version 0.9.3.1. Fallback to Core-DOM for accessing HTML forms. (Mozilla Bug 230214). Recognize HTML5 input types for username. Catch up with the toolkit LoginManager: Mozilla Bug 600551 (Password manager not working with input type=email). Add basic support for username only forms. Show Anchors quickly shows and catches anchors in page. Show anchors via context menu or by a button. For A tags with attribute Name or ID but also with other tags using ID attribute excepted tags body, table, html, img, textearea, select, tr, frame, iframe and input. For each anchor, target object is highlighted for tags A, DIV, H1, H2 , H3, P, SPAN, LI, DD ou DT (if it's enable in options). On anchor mouseover , anchor's color is changing and anchor name is showing in tooltip. On anchor mouseover a context menu is shown (2.1). Jump to the next anchor. Warn message is shown if no anchor found. Changelog Since I've increased the minimum version to SeaMonkey 2.0 I've also taken the liberty to increase the version number to 0.6.0. Updated for Gecko 2.0 component registration changes. Increased the minVersion to SeaMonkey 2.0. Incorporated changes from Stylish 0.5.9.10070201 made by Alice0755. Stylish 0.5.9 is fully compatible with SeaMonkey but I wanted to bring back the Stylish statusbar button in the Messenger window which Stylish removed in v0.5, So I'm making available 0.5.9-mod for download here. Text/Plain Text/Plain treats selected plain text urls, and email addresses as links and adds options to the context menu on how to use these. This version has been bumped so that it will install and work in SuiteRunner. TextZoom is obsolete. Please use NoSquint instead. Weary eyes? Insane screen resolution? If you're tired of increasing the text size in Firefox every time you open a new window or a new tab, TextZoom is the extension for you. Set the default zoom level you desire and forget about it. Allows you to set a persistent text-zoom level, from 5% to 2000%. The keyboard shortcut Alt+0 (zero) gives you quick access to the extension options. The keyboard shortcut Ctrl+0 (zero) returns the current page to your custom default zoom level. Fixed: bug that prevented some tabs from setting the custom zoom level. Fixed: Firefox compatibility that was broken when initially ported to SeaMonkey. Maxver has been bumped to 3.0a. Toggle Word Wrap toggles word wrapping in SeaMonkey Message Composer windows and in PRE elements in the browser. With SeaMonkey, it comes in handy when inserting long text lines which should not get wrapped in the final message (such as log file entries). It only has an effect when using plain text mode for composition - this is a per-account setting which must be configured by disabling "Composition & Addressing" -> "Composition" -> "Compose messages in HTML format". Unchecking "Enable Word Wrap" in the Options menu (or pressing the keyboard shortcut) will temporarily turn off word wrapping for the current message - lines will take up the whole width of the composer window, and no line breaks will get added to the outgoing message (with the exception of "hard" line breaks inserted manually). Checking "Enable Word Wrap" will enable word wrapping again and set it to the width specified in the standard settings ("Wrap plain text messages at", default is 72 characters). User Agent Switcher adds a menu and a toolbar button to switch the user agent of the browser. It is designed for Firefox, Flock, Mozilla and Seamonkey, and will run on any platform that these browsers support including Windows, Mac OS X and Linux. DownloadHelper is a tool for web content extraction. Its purpose is to capture video and image files from many sites. Just surf the Web as you are used to, when DownloadHelper detects it can do something for you, the icon gets animated and a menu allows you to download files by simply clicking an item. For instance, if you go to a YouTube page, you'll be able to download the video directly on your file system. It also works with MySpace, Google videos, DailyMotion, Porkolt, iFilm, DreamHost and others. Entering European languages (which include diacritics (accented characters, diaeresis, umlauts, etc. ), ligatures, the Euro sign, etc.) into Mozilla applications using an English keyboard doesn't have to be a pain any more! Zombie Keys implements Microsoft's Keyboard shortcuts for international characters (I've added shortcuts for € and ¢). It addresses Mozilla Bug #270439 (WinWord/TextPad dead keys are not supported). Current versions of Zombie Keys are now fully SeaMonkey compatible including SuiteRunner builds. Install the latest version of Zombie Keys from the Zombie Keys homepage or from addons.mozilla.org. Evaluting the properties of an object. Modifying functions on the fly i.e. you can search for functions, load and edit them and eventually save the modified function. Execute JS provides a persistent history of the executed code snippets as well as a basic code completion functionality. Shortcut notations for frequent used expressions can be configured. Removed dependency on E4X (Removed from Gecko). 1. Clicking the toolbar button will enable the next mouse click on any chrome or content element to open a DOMi window with it positioned on the parent element in the respective DOM tree. 2. Context-clicking the toolbar button will present a menu of all open chrome windows and dialog panels. Selecting a menu will immediately bring the selected window/dialog to the front thus allowing easy and quick access to clicking the element of interest. EXCEPTION: IW (as are all toolbar buttons) is disabled when the Options dialog is open and it must be interrogated using the standard DOMi method. 3. Context-clicking the content area will present two options to allow inspection of a page and, if relevant, the inspection of an individual frame. NOTE: The DOM Inspector extension must be installed for this extension to work. Adds an item in the Tools menu to enable/disable output redirection. Creates a "JSConsoleOutput" directory in the user's profile, and puts the log file inside it. Well now there's a much easier way. You can use the JSView extension to solve the problem. You can access it from the context menu, from the toolbar, from the view menu, or from the status bar. If the website you are viewing contains any external js/css files, an icon will appear that says "CSS", "JS", or both. Each individual file can then be viewed by clicking on the filename. The file will be opened in a new window. You can also choose to open all external files by clicking on "View All". With the latest version you can now view the embedded css and js as well (FF2 and SM2 only). Just open the "Page Info" window from the context menu or tools menu. There will be 3 new tabs in that window. One for scripts, one for stylesheets, and one for frames. You can open them by double clicking or by using the context menu. You can also right click on the 'view page source' menu item and open the url of the current page with jsview. This allows you to open the source code of any web page in a new tab or in an external editor. JSView appears to have been abandoned by the author. It hasn't been updated since July 2008. I have taken the latest version from https://addons.mozilla.org/ and updated it for SeaMonkey 2.0+ and Firefox 3.5+. [fix] SeaMonkey 2.1 is now using the Toolkit View Source code. No changes for Firefox 4.0. [fix] Make JSView page info panes work in SeaMonkey 2.0 and Firefox 3.5. [fix] Missing (??) file sizes in the JSView UI. Note: All these bug fixes have now been contributed back to the official JSView project. Get the latest from the JSView homepage. [fix] Make JSView menu options work in the View Source window in SeaMonkey 1.1b and SeaMonkey trunk. Since the cycle collector code landed on trunk in January 2007 Leak Monitor does not give accurate nor useful results. Use the leak-guage.pl perl script in conjuction with the NSPR.log instead. Version 0.3.0-mod has a rewritten installer to address several issues identified by dbaron. Because of this, you should uninstall any previous version before installing this one. Version 0.2.0.1 Fixed a nit reported by Neil (moved the Copy-to-clipboard button to the left of the dialog box). Version 0.2.0 has a copy-to-clipboard button so I've removed the leak.log hack. It looks like SeaMonkey doesn't support logging of leak events so I have patched v 0.1.3.1 to save the window contents to a file within the profile directory (%Profile%/JSConsoleOutput/leak.log). Currently there is no way of turning off this logging. MeasureIt: Draw a ruler across any webpage to check the width, height, or alignment of page elements in pixels. Starting with Firefox 2, Storage Inspector makes it easy to view any sqlite database files in the current profile. This includes the anti-phishing and search engine databases. Storage Inspector will only work in SeaMonkey 1.1a and 1.5a, and higher. SQLite Manager is a very lightweight firefox extension (originally) to manage all your sqlite databases. Manage any SQLite database on your computer. An intuitive hierarchical tree showing database objects. Helpful dialogs to manage tables, indexes, views and triggers. You can browse and search the tables, as well as add, edit and delete the records. Facility to execute any sql query. A dropdown menu helps with the sql syntax thus making writing sql easier. Easy access to common operations through menu, toolbars, buttons and context-menu. Export tables/views in csv or xml format. Update Channel Selector allows you to change the update channel your application receives updates from. If you don’t understand what this means then read about update channels. Be warned, this extension will allow you to change to an unstable update source. Unless you know what you’re doing I suggest you don’t use it. If you lose all your data because you accidentally update to an unstable version then don’t come running to me. Please note that Mozilla do not provide automatic nightly updates for users of localised builds. Until those are provided this extension can only help you switch between the beta and release channels for such builds. To change the update channel in SeaMonkey 2.0a, Go to Edit → Perferences → Software Installation → Change Update Channel, then click on the "Select the new update channel" button. View Formatted Source displays formatted and color-coded source and optional CSS information for each element. You can see exactly which CSS rules match for an element. The rules are displayed including file name and line number. The topmost element is that with the highest priority. Minefield 3.0a and SuiteRunner 2.0a compatibility. Better method to detect Firefox version. Display font changed to a monospace font for better readability. [SeaMonkey Only] Added items to the menubar for File→Print; Edit→Formatted Source Options; and View→Text Zoom. You can also use the CTRL+/- keys to zoom the display text. XpcomViewer is an extension for exploring available XPCOM components that are available on your Mozilla application. Version 0.9 from the official website will install and work in SeaMonkey, but the preference panel settings aren't working. Fixed in this mod. Showcase is an extension that allows you to easily locate and select any open browser window in your system. Showcase will show thumbnails of all open tabs of any window (or, optionally, only of the invoking window). Thumbnails are resized and distributed on the Showcase window in the best way possible. Showcase can be placed in it's own window, a tab inside a browser, or as a sidebar. The latest version of Showcase works out of the box in Seamonkey but to use the Showcase sidebar, or to access the Showcase options dialog, you will need to have xSidebar installed as well. Install the latest version from the SeaMonkey Showcase Download webpage. Viamatic foXpose is a tiny little extension that lets you view all your tabs inside a browser window. Duplicate Tab allows you to clone a tab along with its history. So you can browse forward or backward in the history of the cloned tab, while reading the current page in the original tab. You can duplicate a tab to a new window or to the same window as the original tab. Duplicate Tab also allows you to open a link in a new duplicated tab, so the new tab will contain the history of the original tab. Another feature is the ability to merge windows: When you have several windows open, you can merge all tabs in all windows into one window, thereby closing the other windows. Accel+Shift+U to duplicate a tab to a new tab in the current window in Firefox. Accel+Shift+T to duplicate a tab to a new tab in the current window in Mozilla Suite / Seamonkey. Accel+Shift+N to duplicate a tab in a new window. Accel+Shift+M to merge windows in Firefox. The Accel key is the Ctrl key on PC's and Cmd on Mac. Duplicate This Tab provides the much needed feature update of Tab Duplication to Mozilla Firefox and its cousins. Features Supported include Duplication of Browser Tabs, Detaching Tabs and Merging All Windows. Install the latest Duplicate Tab for SuiteRunner from the Duplicate Tab installation page. Load Control adds toolbar buttons that stop loading all tabs or reload all tabs in the current window. To add the buttons to your toolbar: From the View menu, choose Toolbars, then Customize. You can drag the Stop All and/or Load All buttons to any existing toolbar. The stop and load buttons only work with the window that has focus -- so all tabs in the current window will stop loading when you click the Stop All button, and all tabs in the current window will reload when you click the Load All button. Tab Effect adds animated effects when current tab is changed. This extension uses DirectX 8. WARNING: Do not use this on current nightly trunk builds including SuiteRunner builds. Tabs Menu adds a Tabs menu to the main menu bar. The menu lists all the tabs contained in the current window so that it's easier to see the full titles of tabs and switch between them when the tab's title becomes too small to read or the tabs have disappeared off the right-hand side. Install the latest Tabs Menu for SeaMonkey 2.0+ from the Tabs Menu page at addons.mozilla.org. Tabs Open Relative is an extension for Mozilla Firefox which causes new tabs to be opened to the right of the current tab, rather than at the far right of the tab bar. In the case where several new tabs are opened in a row without switching tabs, each subsequent tab will be opened to the right of the previous one. tabs_open_relative-0.3.3-mod.xpi for Seamonkey 1.1 and above only. Weather information in appealing animations (view a live demo at http://www.aniweather.com ). Real time condition update + 5-day forecast. Check the weather of over 77,000 locations worldwide. Switch locations in one click. (US only) A rich set of graphic reports (radar, satellite, alerts, etc). Link to more detailed views seamlessly. Fully customizable to fit your preference (temperature unit, location list, and much more). autoHideStatusbar is a Firefox, SeaMonkey, Thunderbird and Flock extension that hides the status-bar. The status-bar is shown back when hovering a sensitive zone with the mouse. In Firefox and Flock, the status-bar can be shown back when a page loads or when hovering a link, according to the preferences. Additionally, in Firefox and Flock, a status-bar icon and/or a toolbar button can be used to quick enable/disable. The changes needed for Seamonkey compatibility have been contributed back to the autoHideStatusbar project and the current version is now Seamonkey compatible. Date Picker/Calendar provides a quick popup allowing you to view a calendar or pick a date. If you've ever had to double click the Windows system tray clock in order to get a quick calendar, then this is the extension for you! This extension will add the current date/time to a small pane in your statusbar. You can then click the date and a calendar will pop up, where you can scroll through months or years looking for the date you're interested in. When you click a date in the calendar, it will be displayed in a handy text box which then allows you to copy it out for whatever purpose. Download Statusbar View and manage downloads from a tidy statusbar - without the download window getting in the way of your web browsing. Available in 25 different languages! Recent versions of ForecastFox do not install properly in SeaMonkey 1.1 due to typographical errors in the installation file. This version fixes those errors. I haven't updated this mod for some time, so for SeaMonkey 2.0 builds you should use Forecastbar Enhanced below since it is just Forecastfox plus an enhanced radar map. ForecastFox is an extension that brings international weather from AccuWeather.com® to your Mozilla or Firefox web browser. You can use your US zip code or you can easily find your town or city by using the built in search tool. It is unobtrusive and lightweight, yet can be customized to display nearly as much data as the leading desktop weather programs! If you can't find what you are looking for, click the weather icons displayed to open the AccuWeather.com® forecast for your location. A slider, similar to when popup notification for when all downloads complete, pops up from the bottom right corner of your screen when the current conditions are updated. You can even set what appears in it or disable it! Recent versions of Forecastbar do not install properly in SeaMonkey due to typographical errors in the installation file. This version fixes those errors. Forecastbar Enhanced is an enhanced version of the popular Forecastfox extension ( forecastfox.mozdev.org) by Jon Stritar and Richard Klien. This adds 12 improved radar images for the US, many new images for international locations and the ability to supply a URL for your own radar image. It also allows for pausing, restarting and setting the frequency of automatic weather data updates. Please uninstall all installations of Forecastfox and Forecastbar Enhanced before installing this. If you are using ZoneAlarm firewall you will need to disable ad blocking for the animated images to work. FoxClocks is an extension for Firefox, Thunderbird, SeaMonkey, and Sunbird to display world times in your statusbar (or any toolbar). FoxClocks is simple but powerful: if you like, you can just have your local time in your statusbar. Or you can keep an eye on the time around the world with multiple clocks. You can set each clock's colour individually, or have a clock change colour during certain hours: for example you can make your Tokyo clock turn green when it's a good time to Skype your friends in Japan. FoxClocks is now compatible with SeaMonkey 2.0. Download FoxClocks at addons.mozilla.org. Google Pagerank Status Google Pagerank Status displays the Google Pagerank in your browser's status bar. Organize Status Bar will enable you to organize your status bar icons. You can now rearrange or hide any item (icon or text) in the status bar. If your status bar is full and cluttered like mine was, give this a try. To arrange your status bar items, click "Tools->Organize Status bar...", or click "Tools->Addons/Extensions" and double-click the Organize Status Bar entry. When disabled an icon indicating it is disabled via red will be displayed. Middle click either icon to toggle ALL of the options with one click. (Handy if you normally keep them all on and want to turn them all on/off easily). Right click for an options dialog to be able to hide unwanted icons from the Statusbar. Install the extension and restart your browser to get the Statusbar icons. Configure the options to display which Statusbar icon's you would like, customize the toolbar with which buttons you choose and enjoy. It's that simple! Also please note that the scope of this extension is NOT as extensive as NoScript, and was not designed to compete with it. This includes whitelisting/blacklisting sites and remembering their settings! If you like NoScript then that's fine and this may not be the extension for you. However this extension is ideal for those who prefer a simpler to use, less invasive interface while still having easier access to the controls. Statusable unclutters the statusbar by creating an additional statusbar containing only essential elements. Extension Firefox pour dégager la barre de statut au bas de la fenêtre. statusable crée une seconde barre de statut, affichant la zone textuelle séparément. Statusbar Clock Display the date and time in your browser's status bar. Displays the time and date in the status bar of your browser. The time, date, and display formatting are all fully customizable. Position the clock anywhere on the statusbar. Right-clicking on the statusbar panel gives you quick access to the extension settings. Named Anchors adds a new tab to Page Info with information about the named anchors in the current document. Named Anchors dropped support for the Suite from 0.3 onwards. This mod restores SeaMonkey compatibility and is SuiteRunner ready. View Cookies adds a tab to the Page Info dialog box, which shows the cookies of the current webpage. This is interesing for developers, privacy-concious users and others. Cookies. You can love them and you can hate them. How do cookies look like? What are the contents? When do they expire? With View Cookies you can find out. And you can also delete unwanted cookies. After installation a new Cookies tab will appear in the Page Info dialog box. The Official View Cookies 1.7 now contains all my patches to 1.6. View Dependencies adds a tab to the "page info" window, in which it lists all the files which were loaded to show the current page. It orders the files by servers and by types (image, stylesheet, script, ...). The size of each file, the total size per server and the total page size are displayed. With a context menu, you can open any file in a new tab or new window. You can also copy an url to the clipboard. The latest version of View Dependencies now has improved SeaMonkey compatibility and can be obtained from it's download page. View Dependencies is compatible with SeaMonkey out of the box; however this version has been updated for the new Page Info window in Firefox 3.0b2 and SeaMonkey 2.0a. View Dependencies is compatible with SeaMonkey out of the box; however this version fixes a couple of bugs in the installation process and a small nit in the UI. ConQuery: Context searching for everyone and URL manipulation tool for advanced users. Lightweight, fast and flexible - it allows to query web services by context menu of the browser. Queries may contain various parameters of currently browsing web page: selected text, URL, host etc. ConQuery stands for "Context sensitive web Query extension": it can be used for context searching and as well for working with advanced, complex web services. Most users will appreciate the simplicity and usability of ConQuery: it is the best tool for every minute tasks, such as searching. Experienced users will find useful the advanced features of ConQuery, such as the ability to evaluate context with regular expressions and use results in queries. Power users can explore more efficient ways to perform their routine tasks. ConQuery works with all of the major Mozilla products: Firefox, Thunderbird, Seamonkey, Mozilla Suit, Mozilla Mail. As well it works with Netscape. ConQuery appears to have been abandoned but I found an updated version: ConQuery 1.7.3 modified version 4 beta 12 from Shadow912. Context Highlight allows you to quickly and easily highlight all instances of a word or phrase within the current page. Simply select the text you want, right click and choose "highlight". Holding CTRL when clicking "highlight" allows you to highlight new words without automatically clearing the page of highlights first. Context Search transforms the "Web Search for..." context item into a menu containing your Mycroft search plugins. This is very convenient, since it allows you to decide which search engine you use. Firefox's default is to use the currently selected search plugin only. [fix] Compatibility with SeaMonkey 2.19 and above. [fix] Compatibility with Firefox 19 and above. [fix] Compatibility with SeaMonkey 2.1b2pre and above. Requires the new openSearch service. [fix] Compatibility with SeaMonkey 2.0a2. [new] Added an option to search with all engines. Results will be displayed in separate tabs for each engine. [fix] Clicking on the "Search Web for "..." menu item will start search using the default engine. This version is now SeaMonkey only. Now works properly with browser.tabs.loadInBackground and browser.search.opentabforcontextsearch in the about:config settings. Search engines sorted in ascending name order. Backported some improvements from the 0.3 and 0.4 series. The Dictionary Search project is a Mozilla extension that lets you easily look up the definition of words on a Web page using an online dictionary. Simply select a word, right-click, and you'll see a menu option to define the selected word. The definitions are returned in a new window. The Dict project is an implementation of a DICT protocol client. The DICT protocol is defined in RFC 2229. By default, the Dict extension queries the DICT server on dict.org for definitions, but it can be configured to use any DICT server. A "define selection" pop-up menu item that defines the selected word. When no definitions are found, a page of nearest matches is returned. When only one nearest match is found, its definition is returned. Can be configured to use a user-selected server. Depending on the chosen server, the extension can be used to define words in other languages and/or translate words from one language to another. Rudimentary support for the "dict" URI scheme. Dictionary Search provides a very easy way to lookup (or translate) a word in a Web page or an email in an online dictionary such as thefreedictionary.com. Simply select the word you want to lookup. Then right click and select "Dictionary Search for ...". A new tab or browser window will open with the meaning of the word you selected. You can use up to 4 different dictionaries, which you can configure yourself. For more info go to the Dictionaries page. There you will find instructions on how to change or add dictionary. It also contains a large list of other possible dictionaries in a significant number of languages. Added compatibility with SeaMonkey 2.0 and Thunderbird 3.0. Reimplemented the SeaMonkey 1.x prefpanel from 0.9.3 as a SeaMonkey 2.0 prefpane. In Thunderbird 3, open the search in a content tab instead of launching a browser. Dictionary Search 0.9.3 is compatible with SeaMonkey but xSidebar causes it to stop working in the MailNews component. This version has a fix to this problem. Dictionary (EN/DE) easily translates selected words from English to German and vice versa using the BEOLINGUS Dictionary of the Chemnitz University of Technology (dict.tu-chemnitz.de). The results are displayed in a small popup window, in which you also can select playback of English and German pronunciations spoken by native speakers. A second option allows to look up a selected word in Wikipedia. Mit Hilfe dieser Erweiterung ist es auf einfache Weise möglich, Worte aus dem Englischen zu Übersetzen. Dazu markiert man einfach das zu übersetzende Wort und wählt den Menüpunkt Übersetze. Zum Übersetzen wird der Dienst BEOLINGUS der TU Chemnitz genutzt, mit dem es sogar möglich ist, die Aussprache der Wörter von Muttersprachlern anzuhören. Mycroft seems to jam up with requests. What can you do? Search Engine Wizard is an extension that helps you to add search engines. Open the search webpage, righ-click on the input field of keywords, and click "Add Search-plugin". All you have to do is click and click. Are you a Firefox user with multiple LiveJournal accounts (whether for roleplaying or other purposes)? Weary of constantly having to go back to the login page to switch accounts, especially if you forget and do something while logged into the wrong one? Well, now you're in luck, because LJlogin will help you by showing you who you're logged in as and — if you use Firefox's Password Manager — allowing you to switch between them. Feature changes across versions can be found at the Roadmap. The LJlogin LJ comm, where new versions and information are announced. ScribeFire is an extension for the Mozilla Firefox Web browser that integrates with your browser to let you easily post to your blog: you can drag and drop formatted text from pages you are browsing, take notes, and post to your blog. Right-clicking on the page and select "Blog this page" from the ScribeFire submenu. Add your blog(s) by clicking on the "Add" button at the bottom of the right-hand sidebar. Now you're ready to start blogging with ScribeFire! Note: Starting from version 1.4.8 ScribeFire will be compatible with SeaMonkey out of the box. Clines is a clone of Color Lines. The goal is to move balls from one square to another one in order to build lines (horizontal, vertical or diagonal). It has been written using SVG and XUL. Actually, that means that you can play it with Firefox browser. To play, once the extension is installed, go to the menu Tools, and choose : Clines. This mod fixes the problems with the Clines toolbar button. about:robots adds an about:robots page like that in Firefox. CookieSwap is a Firefox/Mozilla extension that enables you to maintain numerous sets or "profiles" of cookies that you can quickly swap between while browsing. Changing your cookies/identity to web e-mail sites (like Yahoo, Gmail, Hotmail, etc) so that you can quickly look like different users. Nice if you maintain multiple accounts and are tired of logging out and then back in to switch accounts. Also nice if two people are using the same computer and want to switch between accounts quickly. DerBrowserTimer is a timer/clock/alarm add-on for the Mozilla FireFox browser. It allows you to set an audible and/or visual alarm by specifying the alarm time in one of three ways: as a relative count down time (e.g. set the alarm to go off in thirty minutes), as an absolute target time (e.g. set the alarm to go off at 7:45 am), or as a regular interval (e.g. set the alarm to go off hourly at five minutes before the hour). In addition, Der Browser Timer can be set to signal the hour and/or half hour with an alternate tone like a cuckoo clock. To reposition the DerBrowserTimer button in SeaMonkey, rightclick on the button and then select "Move Button..."
Diggler is a small but powerful add-on for Firefox. It adds a menu button next to the address bar with actions relevant to the current URL. The button's menu allows you navigate up through the current URL's parents, to visit the equivalent ftp URL, or to visit the site in archive.org. A single click on the menu button also easily clears the location bar (much like the one in Konqueror) - useful for keyboard free browsing. It also has a few security control tick-boxes (popups, tabbing, images) and the ability to add custom URL conversions/manipulations. Neo Diggler is a tidy-up, bug-fix and minor re-organisation of the original Diggler by Adam Lock, which although popular has sadly been neglected and, as of it's last official release (0.9) only worked up to Firefox 1.0.*. FEBE (Firefox Environment Backup Extension) allows you to quickly and easily backup your Firefox extensions. In fact, it goes beyond just backing up -- It will actually rebuild your extensions individually into installable .xpi files. Now you can easily synchronize your office and home browsers. Schedule automatic backups on a daily, weekly, or monthly basis. Can also be configured to backup on Firefox startup and/or shutdown. User-defined backups. Make backups of virtually any file or folder — Firefox related or not. Just specify what to backup and FEBE does the rest. FEBE 6.0 and above uses native Firefox zip/unzip components. Much, much faster than previous FEBE versions that depended on external, third-party utilities. Upload backups to your Box.net account automatically or with a single click. Verify your extension directory. Upgrading Firefox versions sometimes leaves garbage in the extensions directory. FEBE can clean it up. FlagFox is a simple extension for Mozilla Firefox that shows a little flag icon in the status bar indicating the current website's server location. It uses relatively little resources, and works by accessing an IP address database contained within the extension rather than relying on top-level-domain roots like ".com" or ".uk". Clicking on the icon brings up further information from Wikipedia or Geotool, which is an online Geolocation tool. Geotool attempts to get more information from the Website's IP address, such as ISP and city and shows the location on a Google Map. FlagFox is a Mozilla FireFox extension which displays the flag of the location of the current server. It achieves this by using an IP address to country database rather than domain-name top-level-domains (eg ".uk" or ".br"), and so works with all sites. Clicking the flag takes you to Wikipedia page for that country. ImageShack right-click is an extension for Firefox that allows users to upload images on other websites directly to ImageShack without having to first save them locally. InfoLister is an extension for Mozilla Firefox, Mozilla Thunderbird, and Nvu that collects various information about Firefox/Thunderbird and saves it to a file. Currently it prints the list of installed extensions, themes and plugins. LCD Clock is a LCD styled clock. Clock beeps on every hour, half-hour, and quarter hour if so desired. Alarm can be set through context menu. Appearance and display are highly customizable. Will work with all fonts. After installing LCD Clock, customize your toolbars and drag the LCD Clock from the palette window on to one of the toolbars. Menu Editor is an extension that allows you to customize the menus in Firefox and Thunderbird. This version affects only the menus in the navigator window. Full functionality is available only in SuiteRunner. DragAndDrop in SeaMonkey 1.0/1.1 now works. 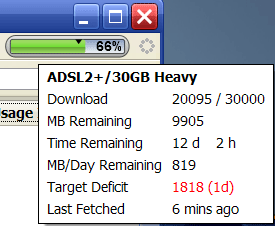 Net Usage Item Displays a progress bar of your internet usage on your Firefox Toolbar. Paste and Go lets you Paste Text and Load/Search It Immediately. Select "Paste and Go" on context menu of URL bar. Press the "Paste and Go" button on the toolbar. Keyboard Shortcuts: Accel + Shift + V (default). After Reassigning the hot keys, you must restart the browser before your new hot keys are active. Password Exporter is an extension for Mozilla Firefox and Thunderbird that allows you to export and import your saved passwords and disabled login hosts from Password Manager. The logins will be exported to an XML (Extensible Markup Language) or CSV (Comma Separated Values) file and can then be imported into another application or computer that has Password Exporter installed. Firefox Options/Preferences -> Security pane -> Import/Export Passwords button. SeaMonkey -> Edit -> Preferences -> Privacy & Security pane -> Passwords -> Import/Export Passwords button. Add-ons Manager -> Preferences/Options for the extension. Need help? Check out the FAQ before posting to the support group. ProxyButton gives you a single button that you may place on your toolbar and whenever you need to turn proxy on and off quickly. This extension is available for Firefox and Thunderbird (and now SeaMonkey). ProxyButton is available in the navigator, messenger, and message compose windows in SeaMonkey. The ProxyButton button appears on the status bar by default. However the graphic used is quite ambiguous and not easily spotted so you might have to squint a bit to spot it. To reposition the ProxyButton in SeaMonkey, rightclick on the button and then select "Move Button..."
You can select the number of notes. QuickNote can open in a separate window or in a sidebar. To use QuickNote in a sidebar you will need to install xSidebar in SeaMonkey, or xSidebarTIG in Thunderbird to provide the Firefox sidebar that QuickNote expects. rikaichan is a popup Japanese-English/German/French/Russian dictionary extension for Firefox. Simple to use, just hover the mouse on top of a Japanese word. Automatically de-inflects verbs and adjectives. Has an optional toolbar that allows you to manually type the word to lookup. Detailed kanji view shows meaning/keyword in English, on/kun readings, and other information. Hiragana, katakana and half-width katakana are treated the same making it possible to lookup stylized/emphasized words. Rikaichan is now compatible with SeaMonkey 2.0. Please install the latest version from http://www.polarcloud.com/rikaichan/. Abduction (Save As Image) is an extension for Firefox that offers the possibility of capturing a complete Web page in one image in JPG or PNG. You may not only determine the file format, but also its compression, so you get a better relationship size and quality. The difference between Save As Image and a program to do screen shots resides in that this extension takes an image of the complete page (the complete one) even when part of it is not viewed due to its size. Save As Image is adds to your context menu the ability to save a page, frame, or part of either as an image. Mod Notes: Everyone seems to hate the new versions of Abduction starting with v3.0. As such I've ported the last revision that everybody (except the author) prefers and brought back the old name: Save As Image. Tidy Browser Button is a toolbar button to toggle the size of the FireFox browser between the two standard web page sizes on the Internet. This extension is intended to help the user keep their desktop area tidier and more productive - just with one click! To reposition the Tidy Browser Button in SeaMonkey, rightclick on the button and then select "Move Button..."
View Source in Tab will open the page source in a new tab if you middle-click on View -> Page Source menu on menubar and View Page Source and This Frame -> View Frame Source on the context menu. For questions or comments about xsidebar, please send a message to the xsidebar mailing list.